Fly from the vibrant city of Mumbai, to the romantic city of Paris, only on the best Mumbai to Paris flights. Check out our affordable rates on international flight bookings, only with us. Get complete details on your flight schedule, status and low cost airlines for your Mumbai to Paris flights. 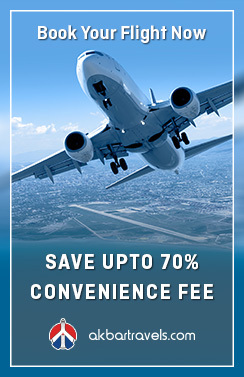 With our range of Mumbai to Paris flights get complete access to deals and discounts for big savings on your air fares. 1. Which months have the lowest fare for the Mumbai to Paris flights? The cheapest month for the Mumbai to Paris flights is June to October as this is the best time for tourists to visit the city. 2. Which is the best month to travel to Paris by the Mumbai to Paris flights? 5. What are the currency of Paris and itsapproximate conversion rate? 6. What is the time difference between Mumbai to Paris? The time difference between Mumbai and Paris is 3 hours and 30 minutes. 1. What are the airline brands that offer Mumbai to Paris flights? 2. How many weekly Mumbai to Paris flight are there from Mumbai to Paris? There is a total of about 159 flights a week. 3. At what time does the first Mumbai to Paris flight leave from the Mumbai to Paris? 4. When does the last Mumbai to Paris flight leave from Mumbai? The last flight leaving from Mumbai to Paris is at 21:40 PM, is a Jet Airways 9W 495. 5.What are the airport codes of Mumbai and Paris? The airport code of Mumbai BOM and Paris is CDG respectively. The name of the international airport in Mumbai is Chhatrapati Shivaji International Airport. The name of the airport in Paris is, Charles de Gaulle Airport.